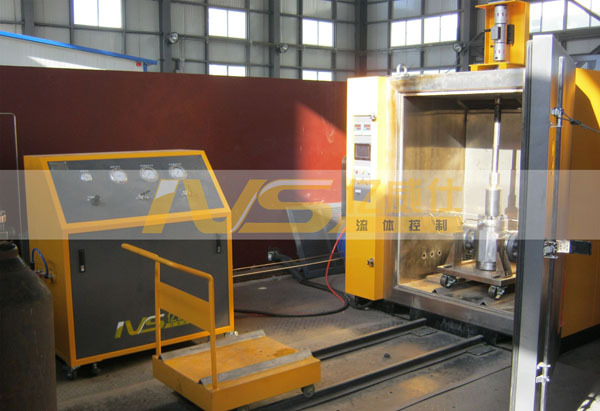 High/Low temperature test system is mainly designed to perform high & low temperature performance test on PR2 valves and wellhead equipment. 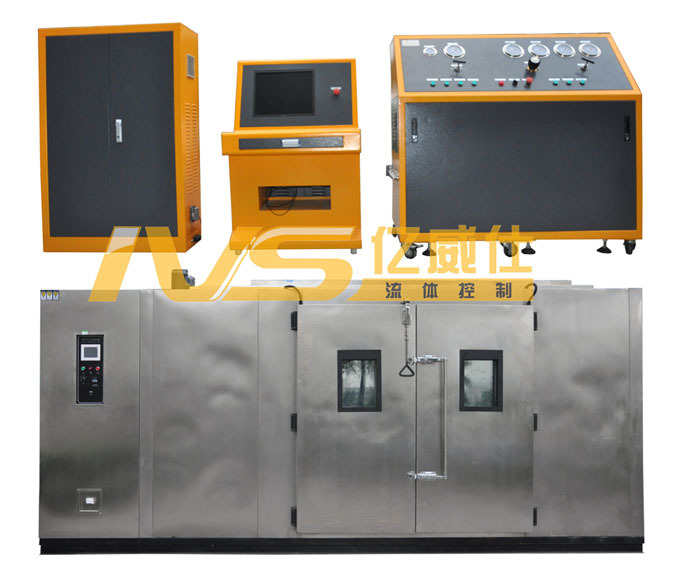 Testing types: strength test, gas leak test, dynamic open/close cycling pressure test at maximum/minimum temperature, valve body pressure/temperature cycling test, and operation force or torque measurement. Testing temp. : -59℃-121℃ *(or on request). Torque measuring range: 200Nm~1500Nm *(or on request). 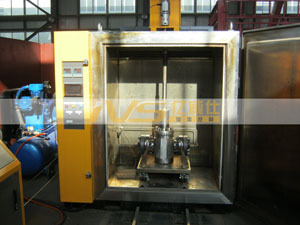 1.Independent and separate pressure testing, detecting and controlling to upstream and downstream of valves. 2.Electro-motor for small torque valves’ operation; hydraulic-motor for big torque valves’ operation. 3.Custom H/L temp. test chamber guarantees the needs of specimen loading and handling spaces. 4.Specimen loading method: vertical top loading & side loading. 5.Automatic test fully controlled by PC+PLC. Manual operation is on standby (pushbuttons). 6.High speed data acquisition support real-time display of pressure, time and torque, etc. 7.Test results saved automatically and allowed to print out for a further analysis. 8.Remote control & monitor of testing process is available, and unmanned testing site maximize the safety operation of operators and facilities. 9.Automatic alarm and emergency shutdown against pressure drop/leaks, over-temperature, power-down & over-load, etc.